VCAT practice day outcome. What’s next? Representatives for objectors attended the VCAT practice day (direction) hearing last Friday. Mediation will not happen as it is not likely the developer and all residents will come to an agreement. As the developer’s lawyer failed to comply with the VCAT order to inform residents of their VCAT application, the hearing date will no longer be starting on the 16th December, but some time late January 2014. VCAT still to advise exact date via a new order. You are likely to get this new date in the mail shortly. Unfortunately (and despite our representatives asking for more time for residents to submit their Statement of Grounds) objectors still need to get their Statements of Grounds to VCAT by the 11th of November. To assist residents with these submissions, we will shortly have a proforma people can review and/or use for their Statement of Grounds of objection. As usual, we will distribute these to objectors’ letterboxes and help with getting them to VCAT via local drop-boxes. This is the next big thing we need to concentrate on – and we are again looking for volunteers to assist with communications, distribution and collection. The developer will again be submitting amended plans to VCAT, but as these are supposed to be minor changes only we will not be given the opportunity to review them before submitting our SoG submissions. Yesterday saw the arrival of advice from the developer’s solicitor that the developer has applied to VCAT. Note the date of the advice was the 18th of October. After having their plans rejected at Council’s Special Planning Committee on the 5th September, the developer has applied to have their case heard at VCAT and included in the expedited Major Case List. VCAT scheduled a Practice Hay Hearing – Friday 25th October 10:00am. This hearing is scheduled to resolve any preliminary or procedural issues prior to a final hearing, or to make procedural orders or set out a procedural timetable to facilitate the fair and efficient conduct of the proceeding. Representatives for Objectors will be in attendance. Developer to serve Council a copy of their VCAT application no later than the 25th September. Council to provide developer a list of objectors no later than the 20th September. Developer to serve Objectors a copy of their VCAT application no later than the 25th September. As the developer failed to comply with the above ordered dates (due to an administrative error by the developers solicitor) the entire VCAT hearing schedule is questionable. Representatives for Objectors will raise the non-compliance and schedule issues with VCAT at this Friday’s Practice Day Hearing. We suggest waiting until after Friday before completing your Statement of Grounds documents. We will advise the outcome of the Practice Day Hearing, key dates, and best next steps. Mediation – Wednesday 13th November 2013 10:00am. Hearing – Commencing Monday 16th December 2013 10:00am (number of days to be determined). This Friday’s Practice Day Hearing will see the confirmation of these hearing dates and Statement of Grounds submission dates… or otherwise. Special Planning Committee REFUSES permit. Quick update – tonight at the Special Planning Committee, the Councillors did not support the town planners decision to grant a permit. A permit was refused on numerous grounds. More details to come in the morning. A fantastic effort was put in by all the speakers and an awesome show of support by residents who turned out to pack the gallery. And you thought your family mattered. This article regarding the 6 Paine St development has just been published in the Hobsons Bay Weekly. We’re gobsmacked by the developer’s response to the newspaper. See below red text. He has a lack of respect and understanding of individual rights and the objection process. No wonder he fails to understand our opposition to his development when he mistakenly believes only some objections are valid. Article below by Hobsons Bay Weekly.. or go to the article at the Hobsons Bay Weekly website. Copy below. Council urged to reject ‘ugly’ 43-dwelling Newport building. 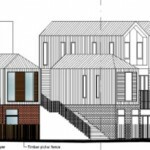 Residents opposed to a 43-dwelling, three-storey development on the site of the former Newport Timber Yard are calling on Hobsons Bay councillors to reject an officer’s report that recommends granting a planning permit. Two previous applications for the site at 6 Paine Street, lodged by Domain Hill, were refused by the council and also the Victorian Civil and Administrative Tribunal. But a council officer’s report states that the third application is “less foreign, more well mannered and less monolithic”. More than 300 objections have been lodged with the council, with residents labelling the proposed building “a gross over-development in one of Newport’s nicest low-density precincts”. Anthony Simmons, of the Protect Newport residents action group, said the community felt that town planners had “caved in”. “The consensus is the planners have ignored the community and their own heritage adviser’s call for a significant redesign. Instead, they have given in to mediocre and insignificant changes put forward by the developer. “The latest application is still a large single building of 43 units up to four storeys high with an ugly cantilevered façade and other clearly inappropriate design elements. Applicant, Domain Hill director Peter Cahill, suggested the number of objections was inflated. “When people go about some aggressive lobbying and you end up with multiple objections from the one household, including in some cases we know of, children, these things happen. A decision will be made tomorrow night by a special planning committee of the council. Come to tonight’s Special Planning Committee and support the speakers who will present cases to Council as to why the development should not be granted a permit. 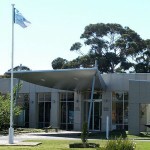 Special Planning Committee: 5 September, 6:00 pm, to be held in the Civic Centre at 115 Civic Parade, Altona. It is vitally important we have a well organised action plan for next Thursday’s Special Planning Committee. It is important as many people attend as possible to demonstrate to the Councilors an approval is not acceptable to this community. Thursday 5 September, 6:00 pm, to be held in the Civic Centre at 115 Civic Parade, Altona. Please email info@protectnewport.com to confirm you can attend so we have an idea of numbers going. Some speakers has been identified to argue resident’s key objections and why the Councilors should deny this application. We are still on the lookout for more speakers. If you wish to speak it would be a good idea to email admin@protectnewport.com to coordinate our arguments and ensure all points are covered and none duplicated. Council’s planners accept development – referred to Special Planning Committee. The Council’s planners have accepted the developer’s latest application for the timber yard, and the planners report is to go to the Council’s Special Planning Committee for consideration. The SPC (Councilors) will see the planners decision upheld or overturned. Our next battle to present residents case at the SPC. Planners report / SPC Agenda. Reading the above report you will be disappointed to see our key concerns have been argued against by our own Council’s planners, putting more emphasis on prior VCAT decisions than residents objections, heritage report, or their own infill-guidelines. Objection update – 325 objections now submitted. At least 325 objections have now been submitted. Thank you to all residents that have submitted objection, all letterbox droppers, and drop box owners. Now we wait for Council’s planners to make their decision. It should be happening soon. If you have not objection yet, details of the application and how to object below….. Massive 43 unit development, 3 and 4 stories high. Having twice been rejected by Council and VCAT, the developer has made yet another application to council to develop this site. A dominating development, incongruous with the neighbourhood and neighbourhood character. 43 dwellings in a single building mass occupying the majority of the site. Predominately three storeys around the perimeter with some two storeys on corners. Three to four storey building on Latrobe St comprising rooftop decks and enclosed (ugly) stairwells. Dominating second and third levels, many cantilevered forward. Pitched roofs added, but framed and blocky facade. As little as 2m only set-back on balconies and walls on all boundaries of the building. Predominately concrete construction with much brick and masonry cladding. Many units overlooking Armstrong Reserve and children’s playground. Absolute minimal private open space for residents. Resident car parking via car stacker systems. With no change to density, parking and traffic issues remain the same. Does not fully comply with ResCode. 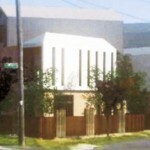 Does not meet Council’s infill guidelines. Plan – Site coverage – ResCode sets a standard of less than 60% max site coverage. 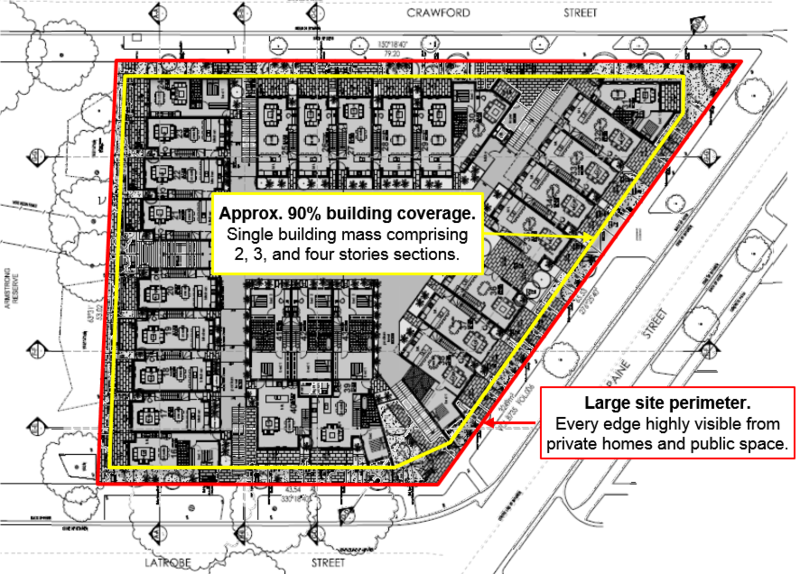 This plan is more like 90% site coverage. Crawford St elevations* – two and three storey façade with minimal set-back. Two sets of storey high stair. 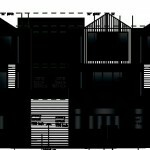 Latrobe St elevations* – four storey building, two and three storey façade with minimal set-back. Two sets of storey high stair. Entrance/stair on the corner of Latrobe and Paine is dominating and canyon like. Armstrong Reserve elevations* – two and three storey façade with minimal set-back. Overlooking children’s playground. Residents private open space abutting park. Colour elevations are developer’s depiction, focusing on front most facade only, with elements behind those (but still visible from the street) reduced to line drawing only. B&W elevations are our adjustment to show a silhouette of front most facade and other elements still very visible from street. If you oppose this development (and what it represents and sets precedents for) please support your neighbourhood by objecting to it as soon as possible, preferably before 11th July. You can view the application and plans here. COUNCILS GREENLIGHT PLANNING SYSTEM for online submission, go to the bottom of the page for objection form. Review the below pre-completed objection document for assistance and text you might want to use. Here are some aids to objecting, select the most convenient. Each person in your household can submit their own objection. The more the better. There are no age limits for objectors. PRE-COMPLETED OBJECTION (PDF) – containing the most pertinent points and you can use it as a reference for completing the blank objection form or submitting an objection on Council’s planning system (Greenlight), or submit the pre-completed objection form itself. 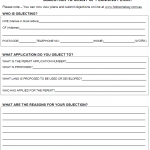 BLANK OBJECTION FORM for writing your own objection. Objection kits (which include the above forms) have been distributed to homes in streets surrounding the development site. You may have one in your letterbox. You can drop off your completed forms at the below community collection points, for coordinated hand delivery to the Council offices on your behalf. 4 Paine St (in the letterbox). 2 Crawford St (in the letterbox). 4 Bunbury St (in the letterbox). 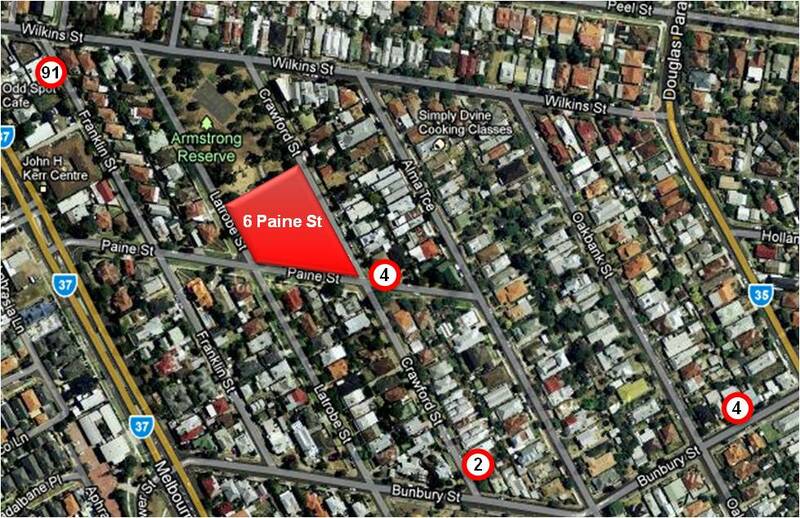 81 Wilkins St – corner of Latrobe St and Wilkins St (in the letterbox). Or, you can send your completed objection forms to one of these addresses. – Your name and address. 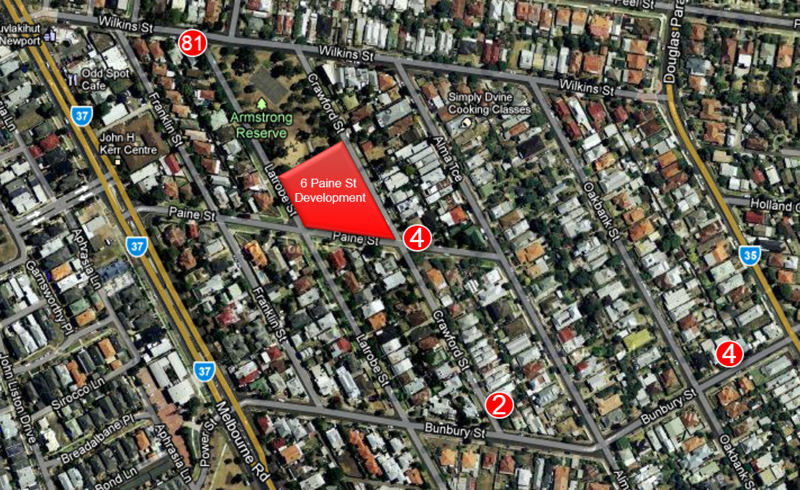 To speak with Council’s planner about this development, phone Mark Tenner on 03 9932 1157. Good luck everyone, and let the community’s voice be heard… again. By our calculation, more than 260 objections have been submitted in response to the developer’s third planning application to develop the former timber yard at 6 Paine St Newport. This exceed the 250 objections submitted against the developer’s previous planning application. Despite the developer’s limited attempt to engage the community into accepting their plans, the mass of objections clearly indicates the developer is very very far away from a proposal appropriate to this neighbourhood. The mass of objections also clearly indicates the residents are not going to tire of fighting the battle against inappropriate overdevelopment in their neighbourhood. If you have not already, make sure you submit your objection before Council conclude their planning application review. That way you are an official objector and can also submit an objection at VCAT if/when that time comes to do so. Details of the application and how to object below…..